Chicago’s Fine Arts Building, a gem of the Windy City just steps from Symphony Center and the home of the Chicago Symphony Orchestra, is home to Carl Becker & Son. 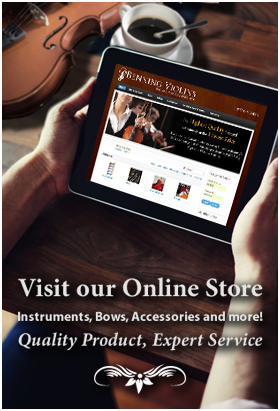 The firm now employs a fifth generation in the Becker family, which makes fine violins, violas, and cellos. But perhaps best known among the Becker family is Carl Frederick Becker (1919-2013), who was the second generation in the family to become a violinmaker. His father, Carl G. Becker, was also a violinmaker (and who also crafted cellos) in the employ of William Lewis & Son in Chicago. But while the two worked side by side for more than 20 years (1948-1968), they didn’t open their own shop under the Becker family name until 1968, just seven years before the elder Becker died. Together, they made more than 500 instruments. 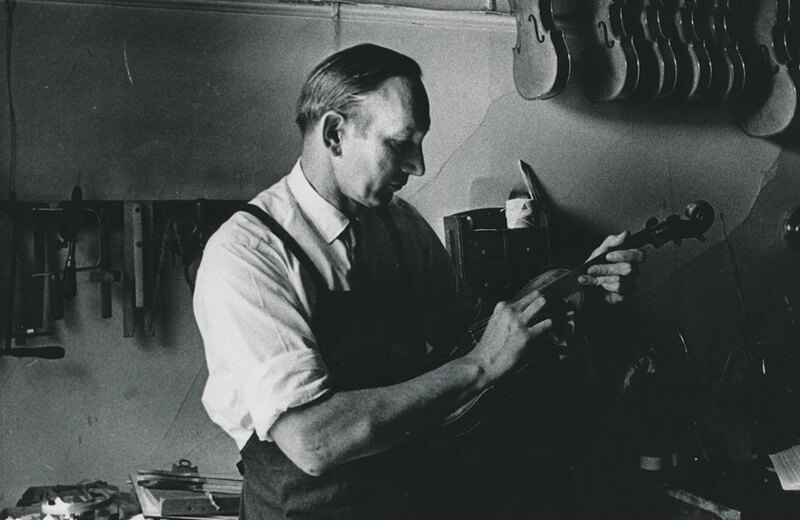 Even though Carl Becker Jr. only made 13 instruments by himself, he was renowned among violinmakers and stringed instrument players for his ability to repair and restore violins. He is famously credited for having restored the “Lady Blunt” Stradivarius, using a method of applying light pressure and tiny bit of room temperature water to a little dimple in the middle of the violin back. Becker influenced several notable modern violinmakers who trained with him before his death in 2013, including Peter Beare, Charles Rufino, Samuel Zygmuntowicz and Eric Benning. “He made these little mini brass bars that would put a very light pressure on the dent, pushing it out. He would dampen it very lightly with water and apply the tiniest bit of pressure,” says Charles Rufino, a New York luthier who spoke to The Violinist upon Becker’s death in 2013. “He didn't have to heat it or do any kind of destructive or threatening thing. This was the way he worked, all the time." Another tenet of Becker’s approach was to treat a violin repair as an engineering project. He mastered the distribution of tension by manipulating the pressure of the strings, changing neck angles, altering specific points about the fingerboard and adjusting the sound post and bridge. The Becker family line of musicians and instrument makers dates back to Carl Jr.’s grand parents, who lost their first violin shop in the Great Chicago Fire of 1871. Today, children and grandchildren of Carl Becker Jr. work in the Fine Arts Building shop, some as luthiers, others in the business administration aspects of the firm.